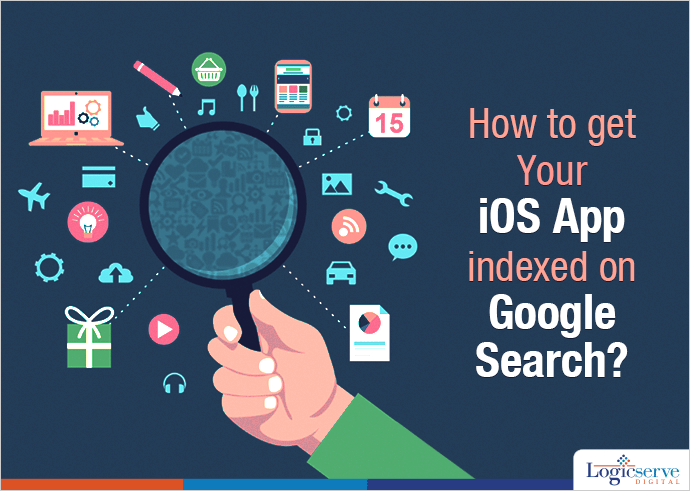 How To Get Your Ios App Indexed On Google Search? It has been a year; Google introduced app indexing for Android Apps. Well, it takes a step further and brings good news for iOS app users and developers! Now, people can not only see the iOS apps indexed in the Google search but also see the content directly from apps when they click on it! This will enable iOS developers to make their apps available through search results and get more focus. 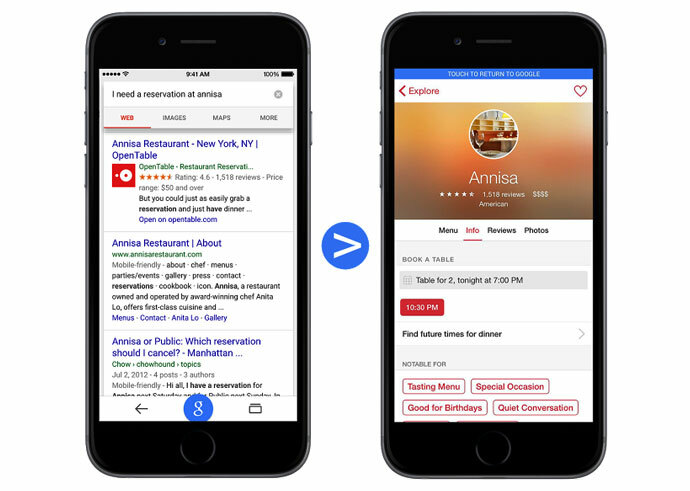 When signed in using Google app or in Chrome for iPad or iPhone, in-app content from Google’s initial partners will be displayed in the search results of iOS users. For instance, if you are searching for interior designs on Google search you can easily get insights into the pinboards on Pinterest showing latest interior designs. If you are looking for some definition, the search results will show content from free dictionary app other than available online dictionaries. Some of the initial partners are Eat24, Pinterest, Free Dictionary, Open Table, SeatGeek, Huffingpost, Youtube, Yellow Pages, Tabelog in Japan, ebay Kleinanzeigen in Germany, Letras in Brazil and others. Google is working on adding more partners. Another interesting thing Google has in offer is iOS users can effortlessly find new apps relevant to their search. For instance, if you search about ‘Action game’ you get a whole list of relevant apps that can be installed directly from search results! Next thing you may ask is how does Google search index your iOS app? For, this you need to send an interest to Google, that you wish to index your app on it. First add deep linking support to iOS app. Then see to it that you can return to your Search results with one click. On your site, provide deep link annotations. Let Google know that you are interested. However, Google does not guarantee that by expressing interest will automatically all you to get deep links in iOS search results. Google also held an event ‘Google I/O’ to help iOS developers get their apps indexed. They also had a talk with them on how to get their app in Google index. Visit g.co/AppIndexing to get detailed information on App indexing for iOS. You can also drop by Google’s Webmaster help forum to ask your queries.